The future of Texas agriculture starts now with the next generation of farmers and ranchers. 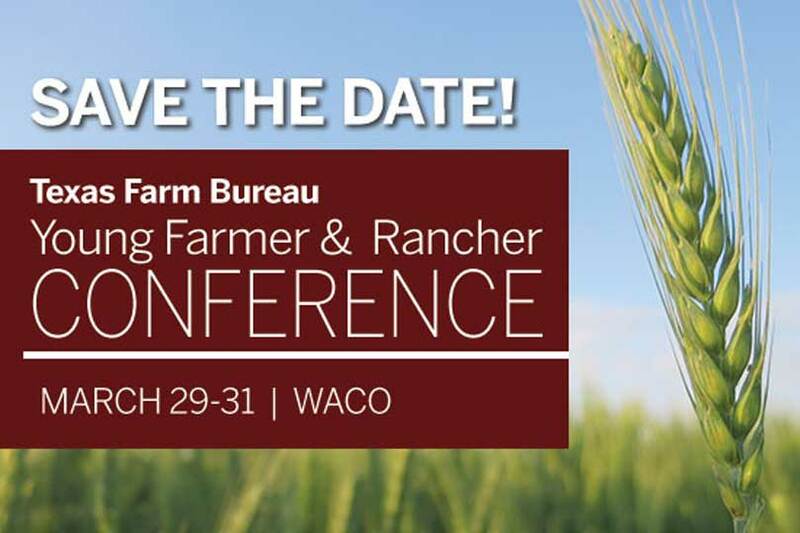 Texas Farm Bureau’s (TFB) Young Farmer & Rancher (YF&R) Conference is designed to equip young leaders in agriculture with the tools needed to increase their agricultural advocacy efforts and help with farm and ranch decisions. The event is set for March 29-31 at TFB’s Conference and Training Center in Waco and the Hilton Waco. The conference will feature a variety of speakers addressing current issues impacting the next generation of Texas farmers and ranchers. The program begins at 6 p.m. on Friday, March 29, and ends at 11:45 on Sunday, March 31. Registration for the conference will take place from 3 to 6 p.m. on Friday. Conference attendees will hear from keynote and motivational speakers, participate in breakout sessions on commodity issues and legislative updates and tour agricultural entities in the Waco area. The conference will feature the Collegiate Discussion Meet, as well as breakout sessions which will focus on issues college students and young agricultural advocates are facing. Attendees will learn about and discuss topics such as agricultural advocacy, food and health, Young Farmer & Rancher activities, commodity updates and leadership development. The conference is open to college students and young farmers and ranchers ages 18-35. Registration closes Feb. 27. The angenda for the conference can be found online. Click here for more information and click here to register for the conference. Contact Weems at wweems@txfb.org or 254-399-5030 with questions.